Hatch chile season is here! To say we’re excited would be quite the understatement. 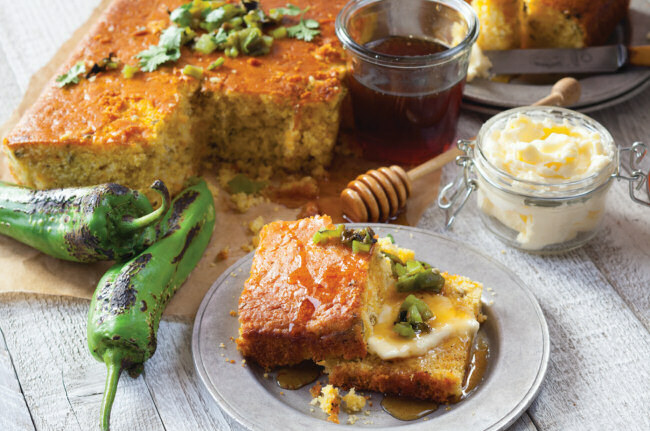 To celebrate our favorite little pepper, our Bakery is proud to serve you with our famous Hatch Chile Cornbread, Hatch Chile Pepper Jack Scones, and Hatch Chile Chocolate Cookies. Our Hatch Chile Cornbread is a twist on our traditional cornbread with the addition of freshly roasted and diced Hatch chiles. 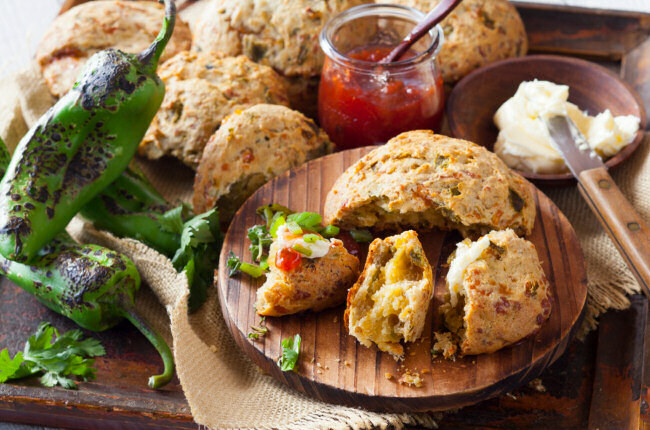 Hatch Chile Pepper Jack Scones have cheddar, pepper jack, along with our beloved Hatch chiles. Hatch Chile Chocolate Cookies have a unique mix of ingredients which includes chocolate chips, walnuts, Tahitian vanilla, and Hatch chiles. The combination of flavors in our cookies is out of this world. If you are looking for lighter alternatives or pairings with Hatch chile, visit our Deli, Sushi, Meat or Cheese departments. We have so many wonderful products to choose from. Keep in mind that chile contains calcium, iron, magnesium, and other minerals and vitamins, so that qualifies them as “healthy” which means there should be no guilt on your part for indulging. “The spicier, the better,” is our motto around here during Hatch chile season. Visit us real soon and get your Hatch chile baked goods while supplies last. Tag us @bristolfarms on Instagram and hashtag #recipes.